Little over a year ago, at a special event during Grammy Week in Los Angeles, Daniel Ek was being honored as an official big shot: the No.1 baller on Billboard’s annual Power 100 shaft-swinging listicle. Yesterday (June 12) in New York, at the far more charitably-driven UJA (United Jewish Appeal) luncheon, Ek – alongside Spotify’s Troy Carter – was feted as 2018’s ‘Music Visionary of the Year’. Once again – in another room stuffed with the US music business’s finest – Ek didn’t show. UJA raised $1.2m for good causes, while Troy Carter gamely did his best to assuage bemusement over the fact that Sweden’s answer to Mark Zuckerberg hadn’t proven visionary enough to actually find his way to the venue. Hmm. With that in mind, Mr Ek must have had a testing few days. The news that Spotify is now striking direct licensing deals with artists hasn’t exactly delighted the world’s biggest rights-holders. Indeed, a senior level exec at one of them even told MBW today that they found the “vibe at UJA a little tense” in light of the revelation. This is the latest flashpoint in a fascinatingly edgy marriage between Spotify and the labels, where both spouses remain publicly enamoured with, and financially dependent on, one another – yet utterly paranoid that their betrothed is trying to get their leg over elsewhere. Spotify, for its part, is stuck trying to please two parties – the major labels and Wall Street – whose agendas are simultaneously in harmony yet completely polarized. Wall Street wants Spotify to rapidly grow off the back of the music industry’s content, but it also wants the platform to shave the percentage of total revenue it’s paying out to rights-holders. The major and indie labels want Spotify to rapidly grow, too – but deem any stealthy attempt to reduce their revenue share as a repellent threat. Spotify, then, must balance its keenness to sell Wall Street a story of improving margins with the fear of losing the loyalty and adoration of Universal, Sony and Warner to the homewreckers-in-waiting. According to Billboard, Spotify is striking deals with independent acts which see 50% of per-stream revenue going to the performer and 50% staying at the House That Ek Built. This is clearly a winner for indie artists, who are used to seeing labels and distributors swallow a chunk of the money paid out by Spotify before it reaches their bank accounts. Imagine that an artist was on a standard 80/20 deal with a label. They would ultimately get 20% of this 54% revenue share – ie. a net per-stream share of about 11%. Even if an act’s label royalty was as generous as 50/50, they would still only get a net revenue share of 27% (ie. half of 54%). Fact of the day: if Spotify really is offering direct 50% deals to artists, it would mean these acts only needed a fifth of the streams of an artist on the 80/20 label deal above to take home the same amount of money. Someone, please pass that artist manager next to you a napkin; they’re dribbling. So that’s what the artist wins from this risky game. But what does Spotify – and its Wall Street narrative – have to gain? Not a lot, but a bit. If Spotify is typically sharing 52%-55% of per-stream revenue with labels, a drop to 50% for certain indie artists is obviously beneficial for the company’s financials. Yet in the grand scheme of things, even if Spotify struck these deals with the 10 biggest new artists on the planet this year, the impact on its annual gross margin would be minimal. Case in point: according to Nielsen, 61% of on-demand audio streams in the US last year were of ‘catalog’ music (released 18 months or more before it was played). At best, then, Spotify’s direct artist licensing could give its margins a mini-mini-bump by the end of 2018. Regardless, Wall Street is impressed: on Friday, after the direct licensing story landed, Spotify hit an all-time (closing) stock price high, valuing it at more than $30bn. One wonders if Spotify – and, especially, its investors – have really thought through every repercussion of this move. 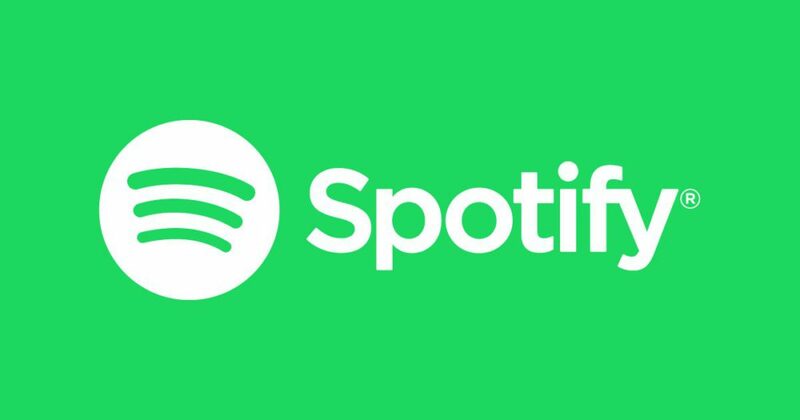 According to Spotify’s own financial documents, 87% of streams on the service last year involved music controlled by the major labels or indies (via Merlin). Clearly, these suppliers have enormous leverage when it comes to dictating what can and can’t be done on Spotify. Now, let’s consider who Spotify’s direct indie artist licensing deals would actually hurt the most. Yes, they could piss off the labels by driving up their initial investment costs in talent; if an act has been boosted by Spotify long enough – while surviving on a preferable royalty rate from a direct deal – their advance cheque, come label-signing time, may require an extra zero. But the most pained victim of Spotify’s direct artist licensing deals will be digital music aggregators and distributors. They may start to see Spotify – and its royalties – conspicuously omitted from their artist agreements as more managers and artists take the plunge. Now, think about this: who owns the largest digital music distribution platforms in the world? You know, like The Orchard. Which Sony Music paid $200m to fully acquire (via a 50% deal) three years ago. Sony Music CEO Rob Stringer indicated just how important The Orchard – as well as other acquired distributors like Phonofile and Finetunes – were to his company just the other week, at Sony Corp’s investor day in Japan. With its direct artist deals, Spotify is now explicitly challenging that market share. Sony believes it took a 25.1% overall market share in the global recorded music business last year; so it’s a fair bet that, of those 87% of Spotify streams owned by the majors or Merlin in 2017, Sony laid claim to a quarter. Or, to put it a more digestible manner, Sony Music controlled approximately 22% of all Spotify streams last year. Is this the sort of partner Spotify really wants to poke in the eye over a negligible amount of margin relief? In short, no, it is not. Especially with Apple Music reportedly set to overtake Spotify’s US subscriber base in the coming months. Oh, and YouTube Music readying one hell of a global marketing assault. Oh, and Amazon proudly telling the world – and its AI-assisted dog – that the most searched-for thing on Alexa is music. Last year, locked in negotiations with the majors, Spotify was in a towering position of strength in terms of its market dominance. The early signs are that – in Apple and Amazon – Spotify now faces tougher, better-resourced competition, with more momentum in its favor. Daniel Ek will hope that the labels will continually, instinctively want to support and embolden Spotify – the only major streaming platform on the market which is a pureplay music company, and whose finances are famously fragile. Spotify’s best chance of profit margin improvement in future will surely be to sell streaming data and tools to its industry partners. The value of That Kind Of Thing is provable and worthwhile; arguably the labels have had Spotify data too good, and too free, for too long. Come licensing re-negotiation time, however, the majors might challenge this kind of concession. They might remind Daniel Ek of that moment, in summer 2018, when Spotify started muscling in on their patch by directly licensing artists. If the labels’ goodwill towards Spotify runs low, it spells difficult news for the long-term prospects of the platform.